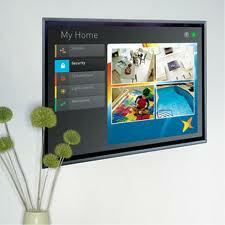 Advanced Home Control's Since 1999, AHC has brought the Region the very best in home electronics. Our number one goal is to provide you with impeccable customer service. We treat each customer the way we ourselves want to be treated, and are knowledgeable specialists in our trade. We guarantee that we will exceed your expectations in every way. "In a nutshell, home control is taking technology that already exists in the home and making it all work together so it's simple and easy to use. Today, more than ever, we bring all kinds of electronic gadgetry into our homes with the hope of enhancing our lifestyle, but oftentimes, it leads to frustration. Take for example, watching TV at the end of a long day. You've got five remotes in front of you and now need to figure out which buttons to press in what sequence. 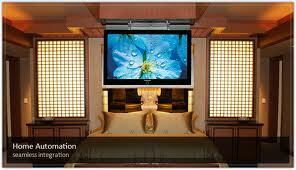 Start out automating your home theater and expand to control lights, thermostats, shades and more. Through the use of advanced wireless technologies most automation can now be done without running a single wire. The days of overly priced, overly complicated automation systems are over. Talk to your AHC system designer and start simplifying your home today. Home control transforms that experience by giving you one easy-to-use remote that makes it simple to control not just your home theater setup, but also manage other devices at home, too, like turning off lights or locking doors, from anywhere in your home. You can even automate many events to happen in one button push: all lights go off, doors lock, alarm is armed, and the thermostat dials back to an energy-efficient setting as you exit the house. The possibilities are endless. So why all the fuss? The idea of home control has been around for ages, but now it's more affordable and accessible than ever. And with the ability to use all your favorite tablets and smart phones to control your home, we've officially reached the tipping point. But the MOST exciting part? This is all just the beginning!"